A few months ago I was contacted by the publisher about reviewing Eating on the Wild Side: The Missing Link to Optimum Health. Since I’m very keen on growing my own food and eating healthfully, I figured it would a perfect book for me. After reading it, I really like this book and heartily recommend this book to all gardeners who are interested in growing the healthiest edibles. 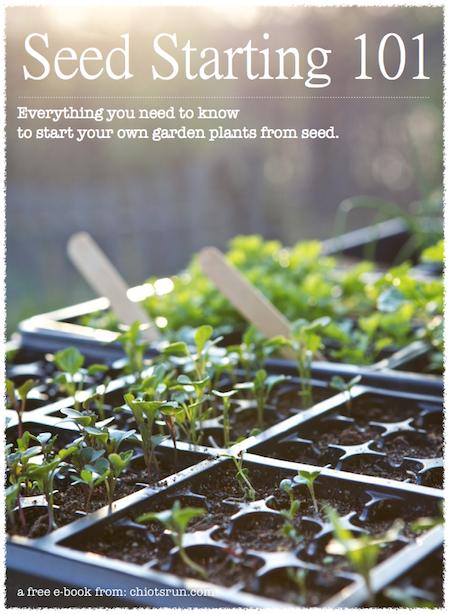 Even if you’re not a gardener you will find great advice in this book. Each chapter focuses on a different type of vegetable (like alliums, tomatoes, potatoes, etc). After explaining the history of each vegetable group, the author gives advice on how to choose the healthiest option of each whether you’re growing it or buying it. For example, when it comes to lettuce, the dark red varieties contain the most antioxidants. She also recommends enjoying greens that have a peppery taste or a slight bitterness, like radicchio and arugula. Since Jo is a gardener, recommendations for the most healthful varieties to grow in your garden are included in every chapter, which is in my opinion extremely valuable. She even includes options to look for at the supermarket so you can maximize your grocery dollars by selecting the most nutrient dense vegetables. I also corresponded a little with the author. She sent me some beautiful photos of her garden in Seattle to share with you. Her gardens overlook Puget Sound and Mt Rainier, talk about a great view while gardening! What I love about the recommendations in this book is that not only are the vegetables healthier, they’re stunning! Why wouldn’t you want to add these healthy, colorful vegetables to your garden? What’s your favorite darkly colored vegetable? you can add chopped swiss chard to your fall and winter soups. after the soup is done, i add the young and not so young leaves just before i turn off the fire. adding them to bean soups are the best. give it a try. 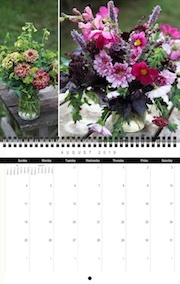 it is also a great way to use up end-of-season garden pickings. Does she cover wild foods? I’m trying to expand the number and kinds of wild foods we eat and finding a limited number of beautiful books on the topic. Textbook types lose my interest quickly. Her photos are beautiful! beets, arugula, eggplants, kale, red onions, collards and lettuce. Thanks! Looks interesting so I put it on the purchase list for our library. I’ve been listening to your pod casts for the last few months and am really enjoying them. I have Tuesdays off and save them to listen to in the morning while I’m working on some inside chores before I go outside for the day. I have been working on learning to make my own bread for a while now, and am just starting to be interested in sourdough. I have a starter started and am eagerly awaiting that good sour smell to develop. I looked through your archives this morning, but did not find a recipe or notes about how you make yours. I have heard you mention that this is the bread you make, and I thought that might make an interesting show topic, or perhaps a longer blog post. Any insights or advice you could give would be great. Thanks for all the work you put into this, its something I look forward to each week, and takes some of the chore out of doing chores! Thanks for the review; although, the last thing I needed was one more book to read! :) We shared this with our FB/Twitter readers at homesteadlady.com. Thanks for writing a review on this book, Susy. I saw this book on your recommendation list a while back and ordered it, I am reading it and find it very interesting. Favorite dark vegetables, broccoli, spinach and I’m trying to like kale , and eggplant. So not only a book review for something that you recommend reading, but the author is local to me here in Seattle…. Now, not only do I need to read this book, I need to network, too… :) Thanks for the find! Im going to keep it a couple more days to see if i can renew it without having to take it back in..(cant right now due to another hold on it) and ultimately, I believe Im going to buy it. I too find its a wonderful book! Thank you Jo Robinson! Her garden is indeed gorgeous! Lots of blessings there for sure! My favorite darkly colored veggie? I love zucchinis and they’re definitely among my favorites.. but I think my most favorite dark veggies are the Black & Purple Tomatoes.. Black Krim, Cherokee Purple, and the Black Cherry tomato.. yum!